Niantic’s Pokemon Go continues to be a craze and one of the trending apps both on iOS and Android. Amongst all and the latest in the Pokemon kitty, Pocket Animals GO still remains a key attraction for gamers, though it has been on the block since 2016. Wild beasts and their presence on your city streets is quite a compelling gig. Another is the performance and responsiveness of the game – reinforcing the significance of Automated Performance Testing and Test Automation in the short-term and long-term. So, it is obvious that other developers wish to ride on the fame and gain out of it as well. Google Play Store is bursting with a bevy of similar games and more, trying to pursue each and every gamer to download them. However, is downloading the game or app the ultimate goal of a gaming company? Not exactly, as there could be instances when the app is downloaded, but due to some glitches in experience, the user might decide to uninstall. Performance Testing is critical to sustain and thrive in the marketplace, where you can acquire and loose the user in a jiffy. Automating Performance Testing adds a lot of ease for testing the apps. Various studies and learnings have established that it is effective to find defects earlier in the application cycle, as it helps save costs and testing/development efforts. Similarly, some studies have also estimated that it can be almost 100 times more expensive to fix post-deployment issues, as against fixing it right when it happens in the development cycle. Performance issues are tricky, as the application might meet the functional requirements but fail to deliver functionality within the (expected) timeframe. At the same time, Performance issues cannot be corrected with code changes. It involves architectural restructuring, changes in the memory power and usage. These changes can massively consume time and efforts, if not tackled in time. So, it is important to address these issues earlier in the lifecycle and manage the project costs. Developers and testers work with various compatible tools that can emulate load on the application by virtualizing resources such as bandwidth, data transfer speeds, and latency. Optimizing Performance testing tools and Performance Testing Automation Frameworks help the development teams to estimate the levels of an application’s performance. It further helps establish near-to-the-real pressures under which the application is expected to perform. Automated Load testing, stress testing, performance testing are inevitable to estimate that the application performs functions as expected and also to understand the breaking points where work needs to be done. Test Automation with various tools plays a key role in establishing this confidence, making the job easy and hassle-free for the testers. By automating the Performance Testing cycle, it becomes possible to build codes and make them fully repeatable. It helps in making the process more sustainable and consistent. Moreover, there is no room left for human errors, and it helps to integrate the testing process within the development cycle. What are the key advantages of using Software Performance Testing Tools? Leveraging Performance Testing tools for automation is increasingly getting popular for its intrinsic benefits. Automated Performance Engineering is being adopted and recommended by experts and testers in the industry to bring speed and quality to Performance Test execution process. Moreover, Application Performance Testing is a rigorous process and it needs to be flawless to make your application market-ready. Software/Application Performance Testing is increasingly getting challenging, thanks to the bugs floating in the software ecosystem. Innovation is the key to success, but bringing that innovation with speed and quality is key to ensure sustainable success of an application/software. So, it is important to collaborate with an experienced testing partner to make the software performance testing tool work for you, and evade all the related complexities. While there are tools available on the internet that can make your job easy, the efficiency of Performance Testing tools can be established only when it can be made compatible with your needs. The scope and capabilities of the tools can be estimated only with experience. In order to ensure that the capabilities of the Performance Testing Automation tools work for you and give you the required results, it is critical to choose the right tool. Specifically, a tool that complies with your testing needs and is acceptable for all. How to choose the right performance testing automation framework? 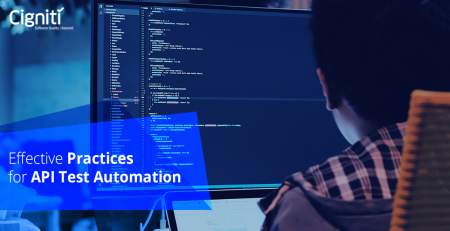 Taking a cue from the earlier point, choosing the right Performance Automation Testing tool helps you to empower your project and make the Automation Framework function for you. Performance Testing tools fall across diverse categories, but it is important to have a know-how about the common types of testing tools. 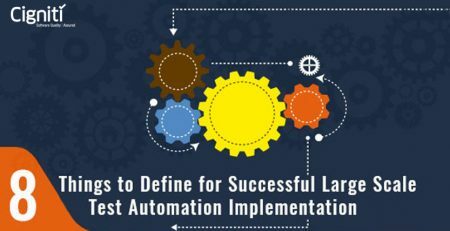 Some key factors to consider while choosing a test automation framework are – Test Execution, Planning, Data Comparison, Bug capture, Software Performance, and various software development needs. The tool is expected to check the source code for bugs, defects, typos, or format errors. 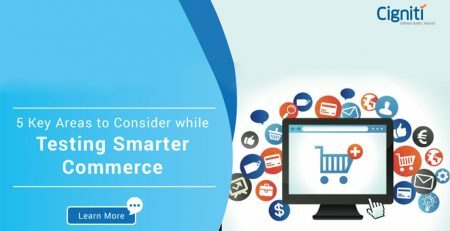 It will help you identify the glitches in the functionalities at every stage. It will also check interconnected software to identify integration issues within an Embedded Software. With Database Testing tools, you can scrutinize issues within the interlinked database of a program. With Bug Tracking tools, it helps track functionalities and identify issues even while the software runs. Another key aspect that an automation framework brings for you is Upgradation and Reusability of the code. This is so far the biggest rationale behind implementing Test Automation Framework for Performance Testing. With a new test and a new bug discovery, the testing software directory gets upgraded and is made available for other projects as well. It can be an expensive process, but experienced testers claim that it is definitely an investment for better ROI in the future. In the context of Test Automation, you can definitely not miss out on the User Environment Simulation aspect. Test Automation impact the testing procedure by emulating a typical user environment. For instance, Graphical User Interface (GUI) Testing is one of the most tedious processes, as the tester is expected to deploy the same procedures and simulate user driven factors to check for issues in the functionalities. Test Automation eases this out with the required Framework of tests. All in all, Performance testing tools/Automation Frameworks help improve and expedite the testing procedure, save costs, enhance ROI, evaluate the efficiency of the software, and identify errors that can occur due to human negligence. Can all these factors speed up the release cycle? Cigniti is a leader in providing test automation services and has built a dedicated Automation Center of Excellence (ACoE) backed by a decade of experience in executing test automation engagements for global clients & a large pool of test automation experts. Connect with us to leverage our Performance Test Accelerator that brings together experience gained from our 100+ performance testing engagements across industry domains over a decade and best practices to address application performance challenges in the digital era.